Dr Fiona Kumfor holds a Masters of Clinical Neuropsychology (Macquarie University) and a PhD in Neuroscience (University of New South Wales). 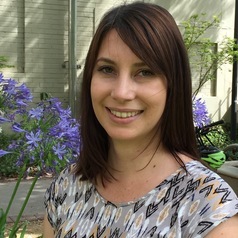 She is currently an NHMRC-ARC Dementia Research Development Fellow (2016-2019), Senior Research Fellow in the School of Psychology and registered Clinical Neuropsychologist with AHPRA. Combining her clinical training in neuropsychology and research expertise in cognitive neuroscience her work investigates social cognition in clinical syndromes with a focus on dementia, and aims to improve diagnosis and prognosis of dementia, while also informing neurobiological models of complex human behaviours.